If your kids love hockey, you can help them express that love through hockey-themed crafts. Engaging in these crafts with your children will not only help them feel even more involved in the sport, but they can also help bring you closer as you talk about the sport while making the crafts. 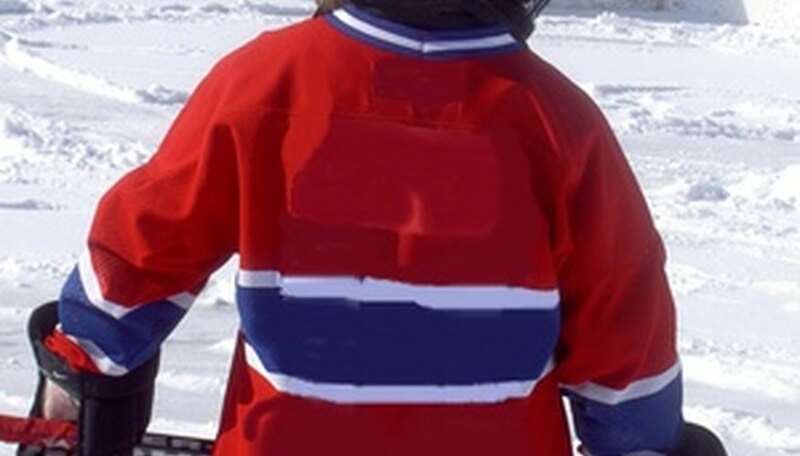 Help your kids make hockey sticks for them to wear or display around the house. Use a regular sized craft stick to make the main portion of the hockey stick, then cut a smaller craft stick in half and glue it to the bottom of the larger craft stick. Have the kids paint their sticks with craft paint, or cover them in glue and wrap different colored yarn or chenille string around the sticks. After the sticks have dried, you can hot glue a magnet to the back so the kids can place their decorations on the refrigerator or other metal surfaces. Help your kids make miniature ice skates they can wear on their clothing to show off their interest in hockey. Cut out small pieces of craft foam in the shape of hockey skates without the blades. Use a hole punch to create holes for the laces, then string colored yarn through the holes and tie them at the top of the skates. Glue a paper clip to the bottom of each skate to form the skate&rsquo;s blade. On the back of the skates, glue on a clip that you can attach to the kids&rsquo; clothing. Cover your door with a piece of white butcher paper, then help your kids draw a hockey goalie on the paper. Color in your drawing with markers or craft paints. Be sure to use the colors, and even logos, from your kids&rsquo; favorite hockey team. Once you are finished decorating the door, you can use a toy puck and hockey stick to take turns trying to score a goal by hitting the puck somewhere on the door where the goalie does not cover. This decoration also helps your family to celebrate hockey season and show off your pride in the family&rsquo;s favorite team.